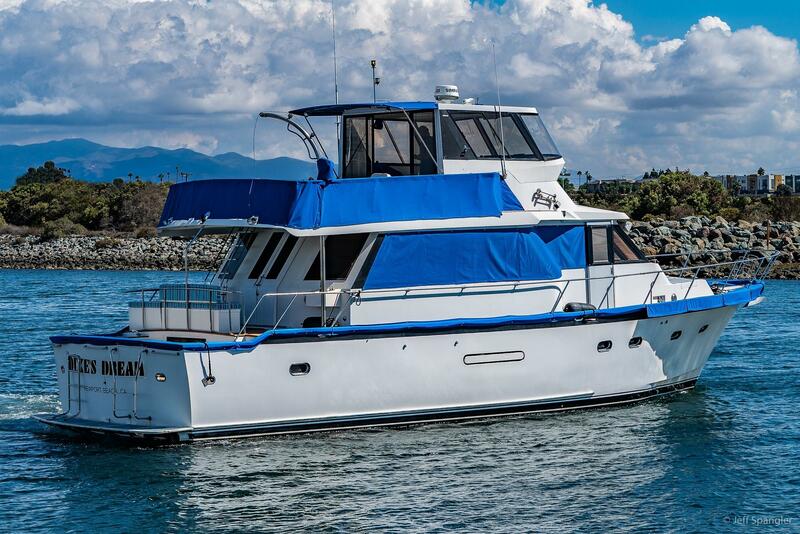 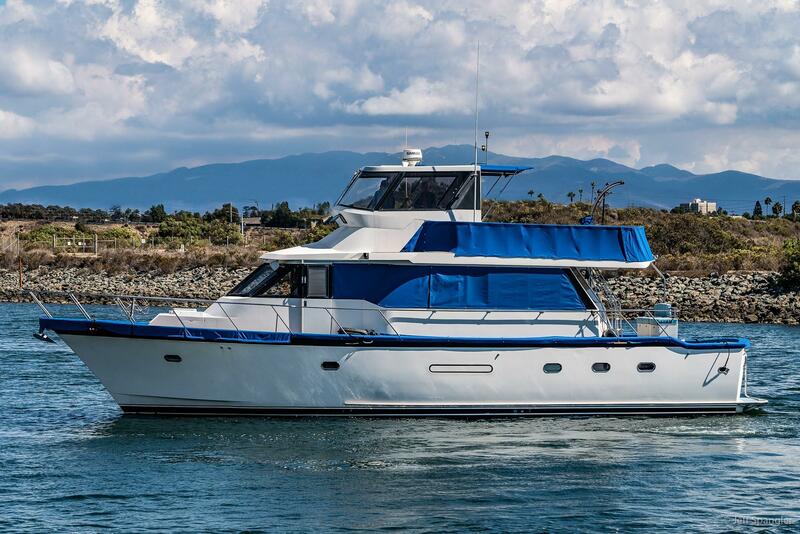 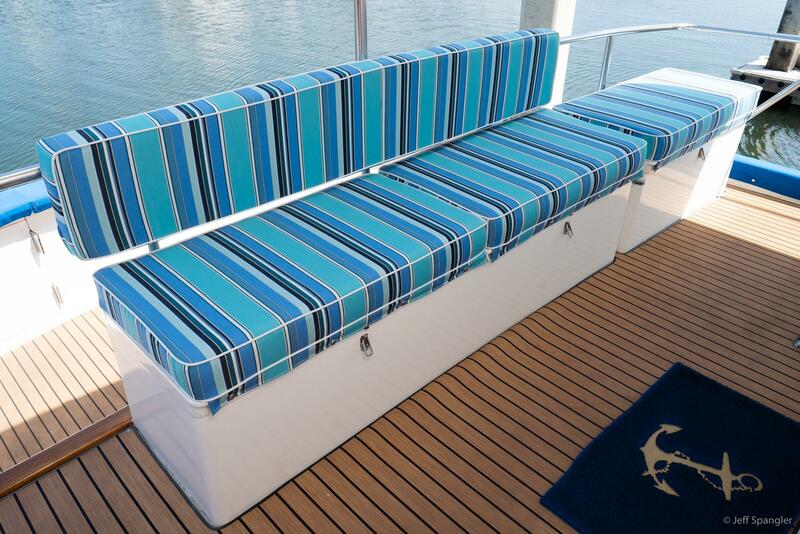 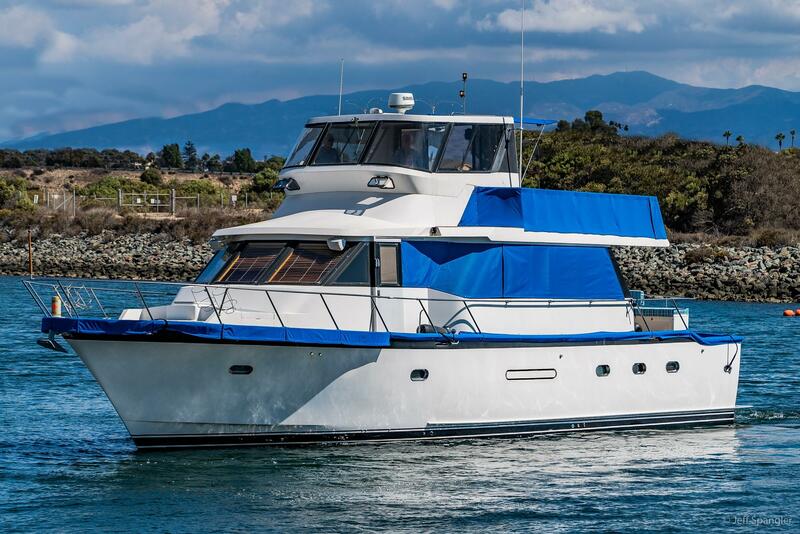 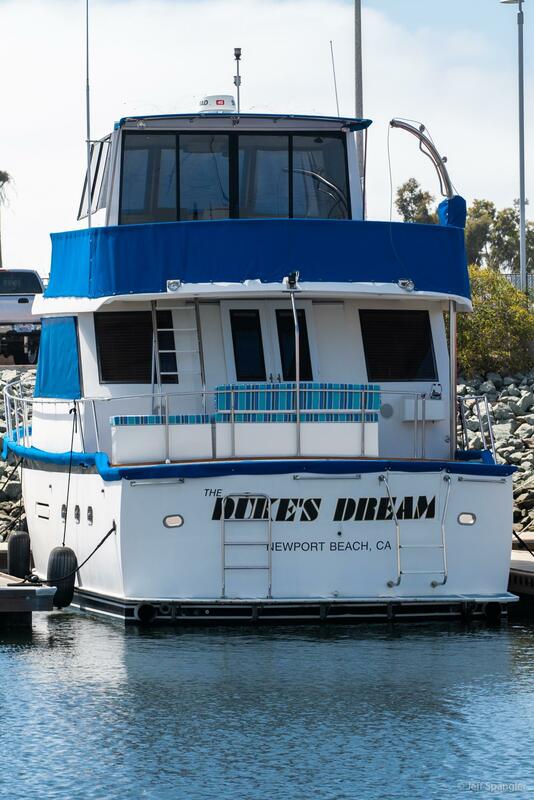 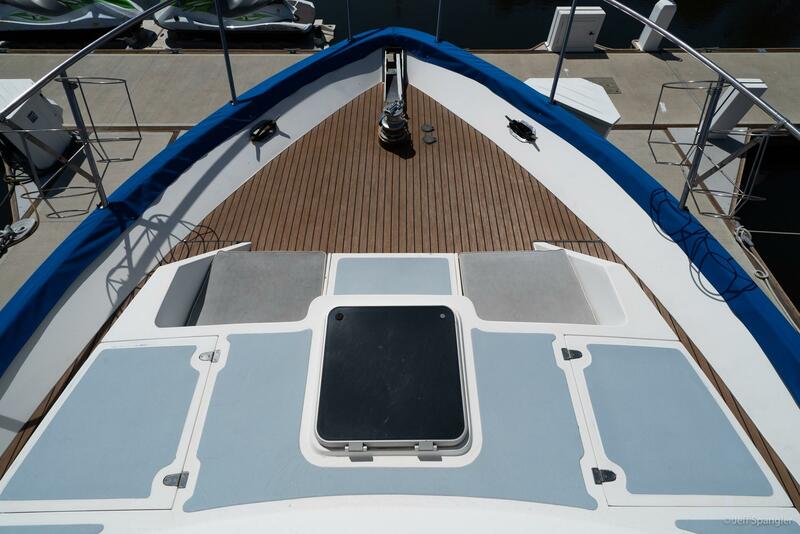 DUKE’S DREAM is a great opportunity to acquire an ideal boat for Southern California Cruising. 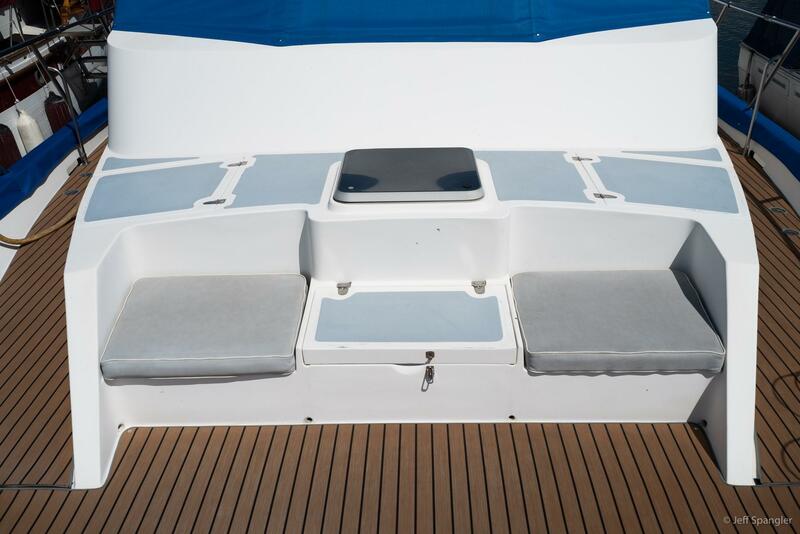 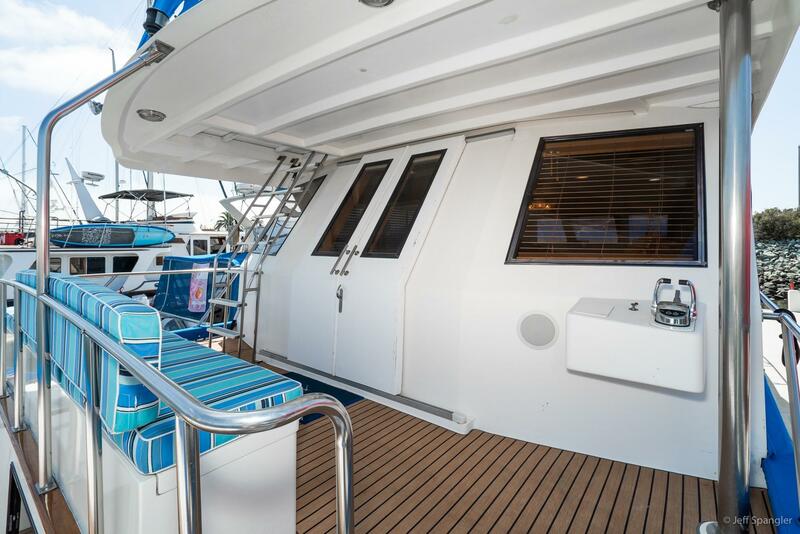 She offers a lot of outside deck space such as the easily accessed cockpit, bridge deck and fore-deck. 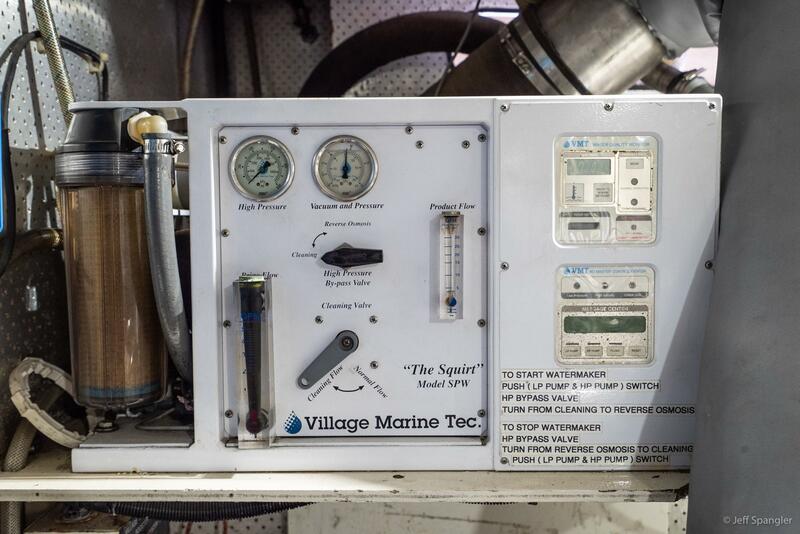 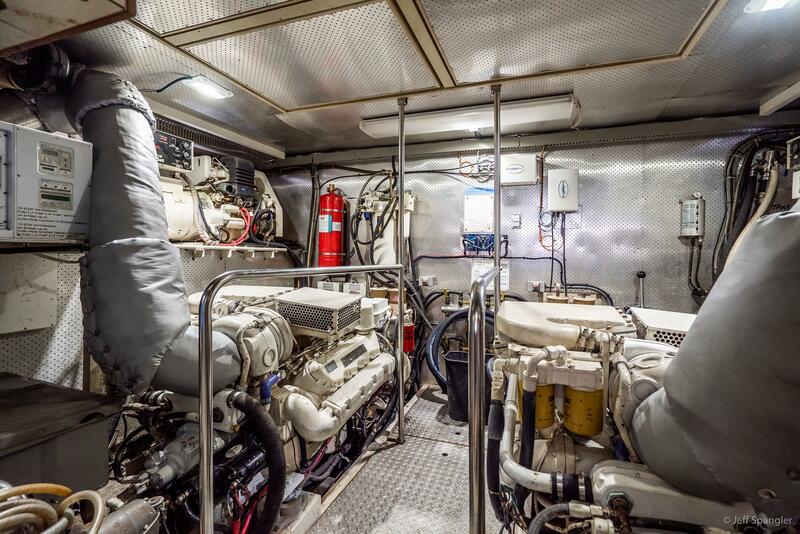 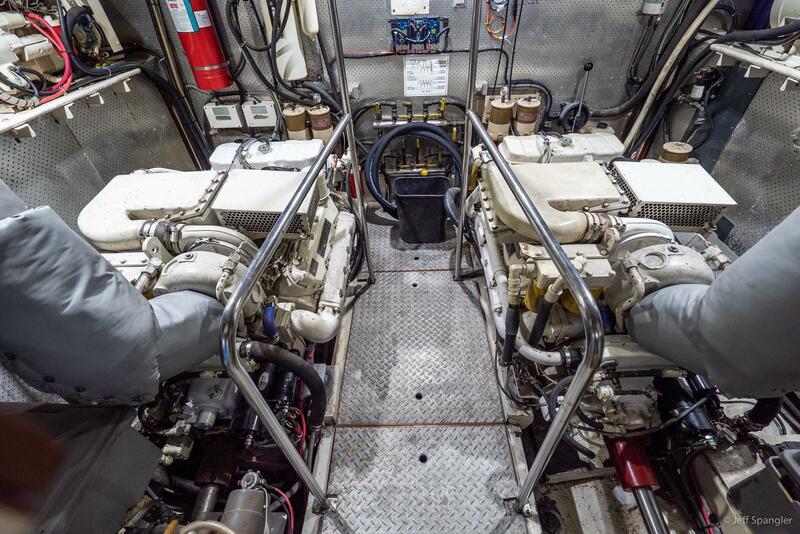 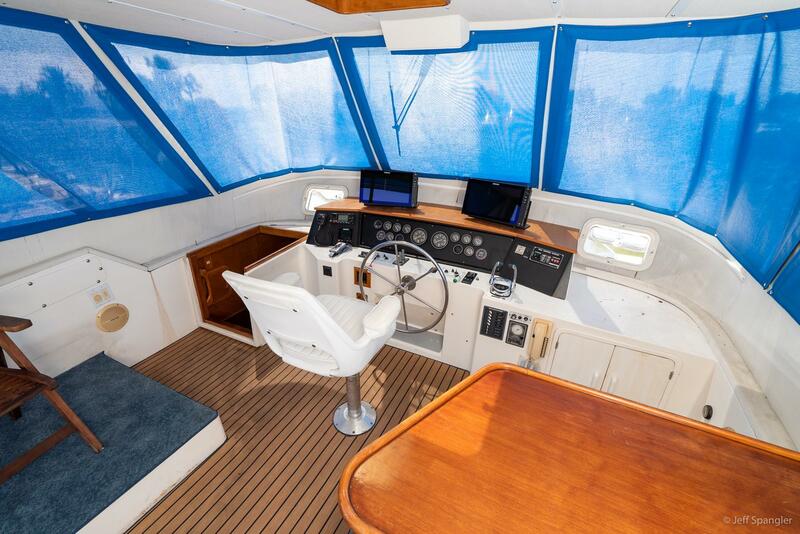 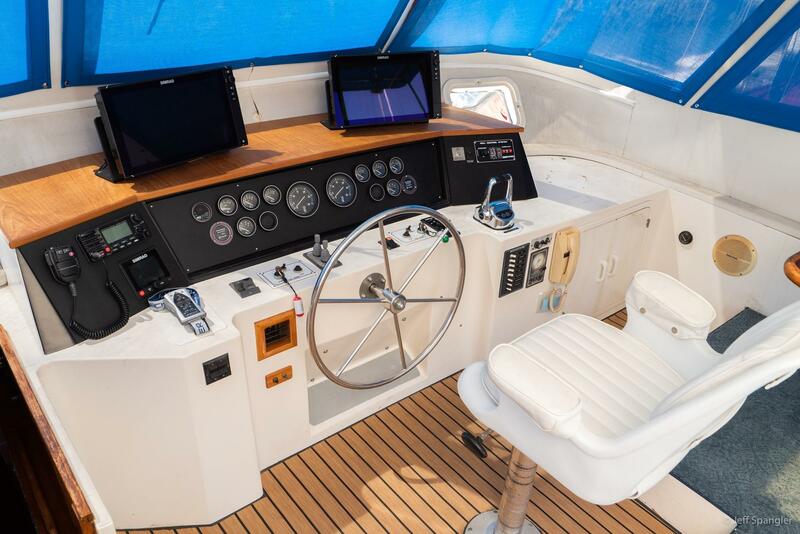 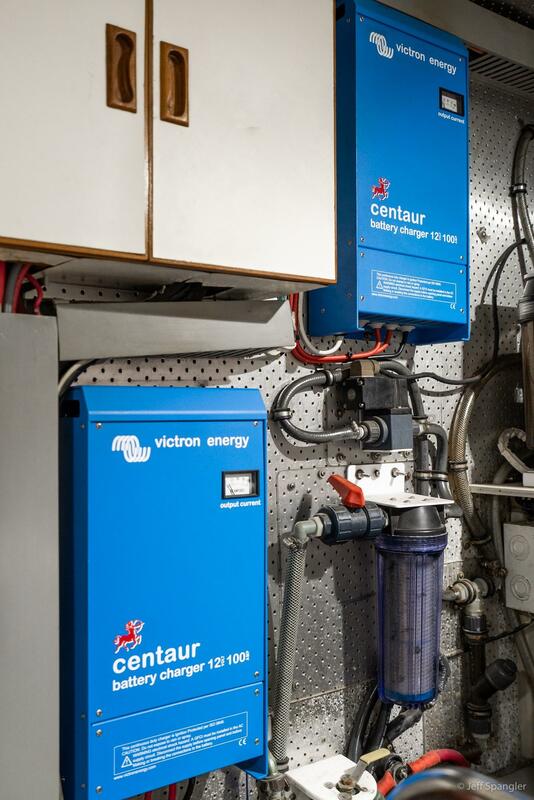 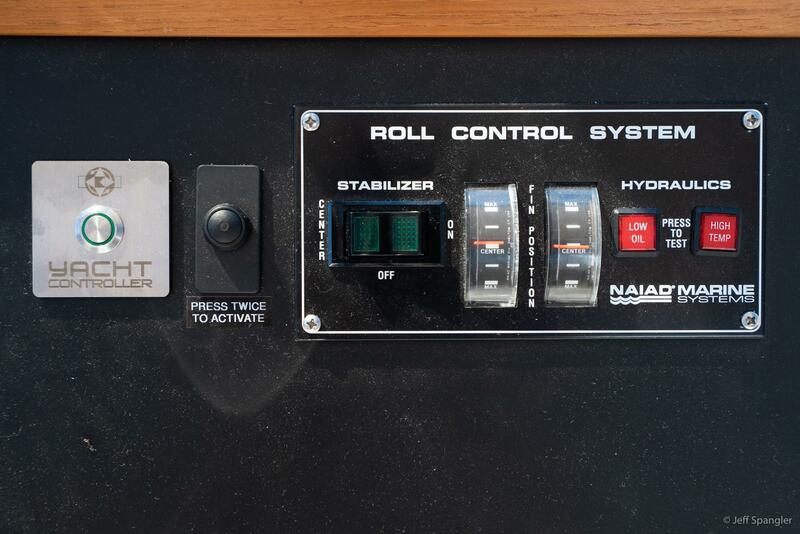 Her state-of-the-art upgraded electronics, along with bow & stern thrusters connected by a Yacht Controller, allows anyone to look like a seasoned Captain when docking or picking up a mooring. 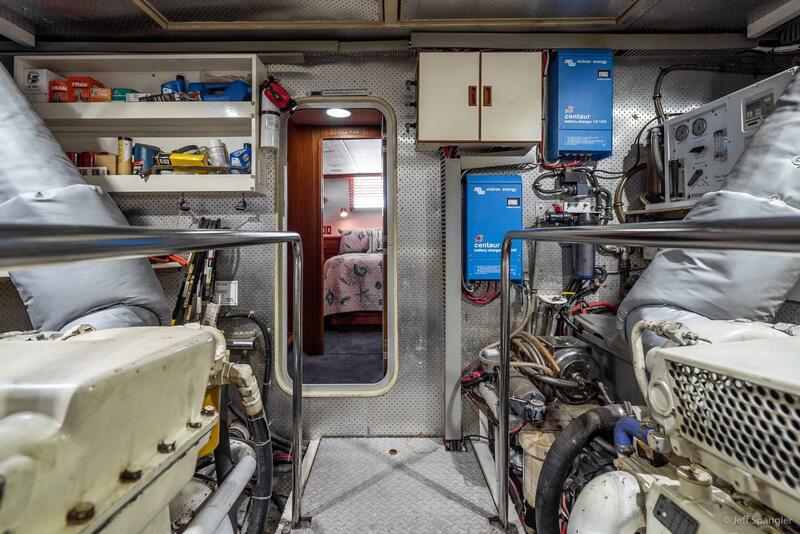 Her machinery and stabilizers have all been recently serviced and the owner has spared no expense with a complete interior updating to include new salon furniture, carpeting throughout, and new bedding and mattress. 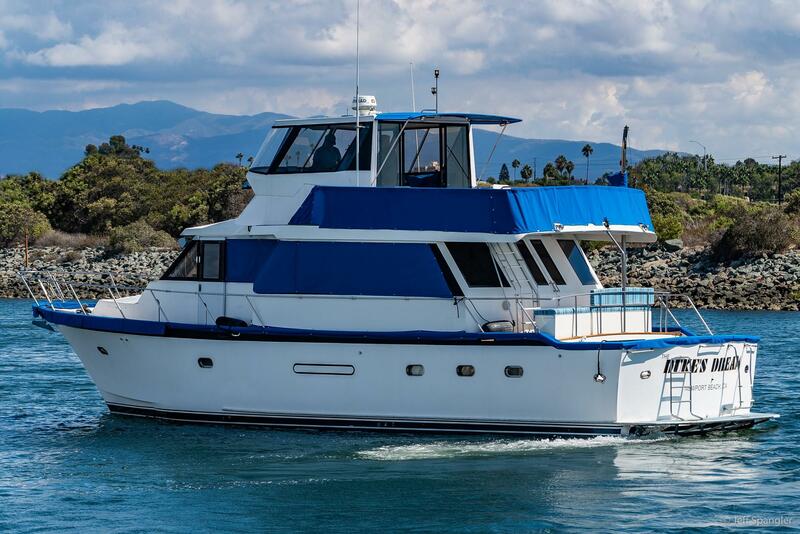 The current owner set out to do a complete updating of all systems and interior soft goods along with an extensive update of all her Navionics which included a new suite of Simrad state-of-the-art electronics, electronic shifter controls for the mains and a YachtController, making docking and handling of the vessel a completely effortless operation. 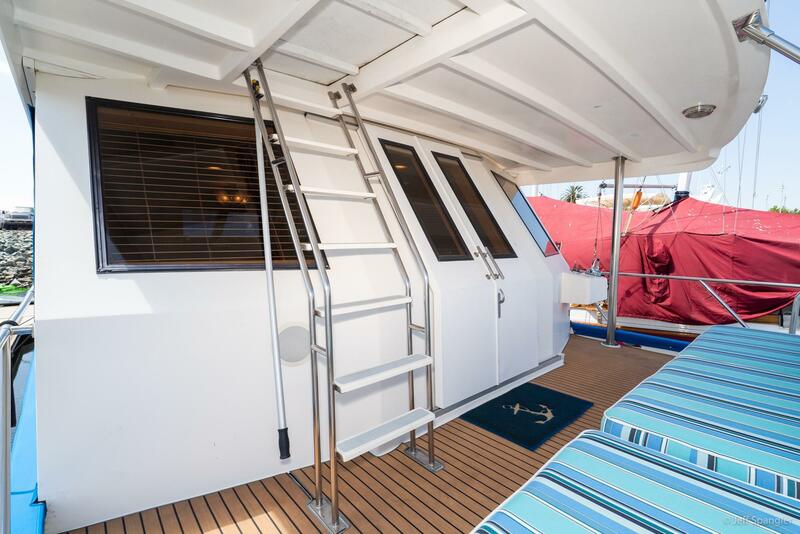 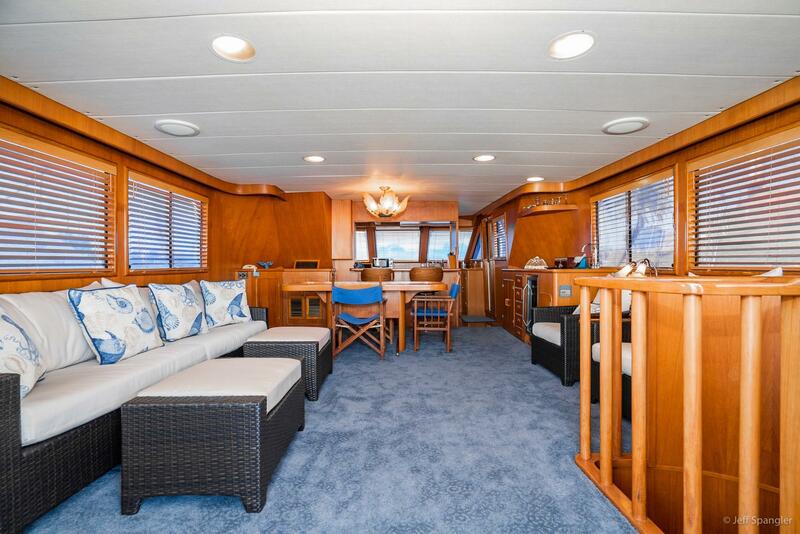 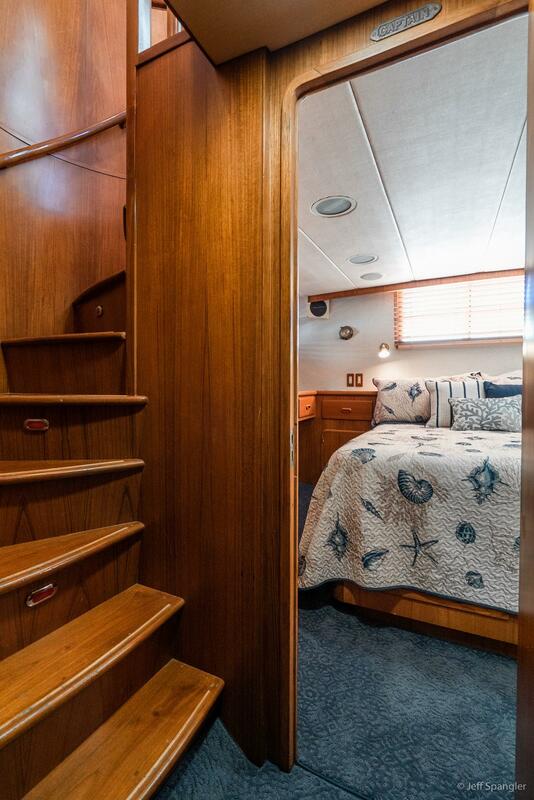 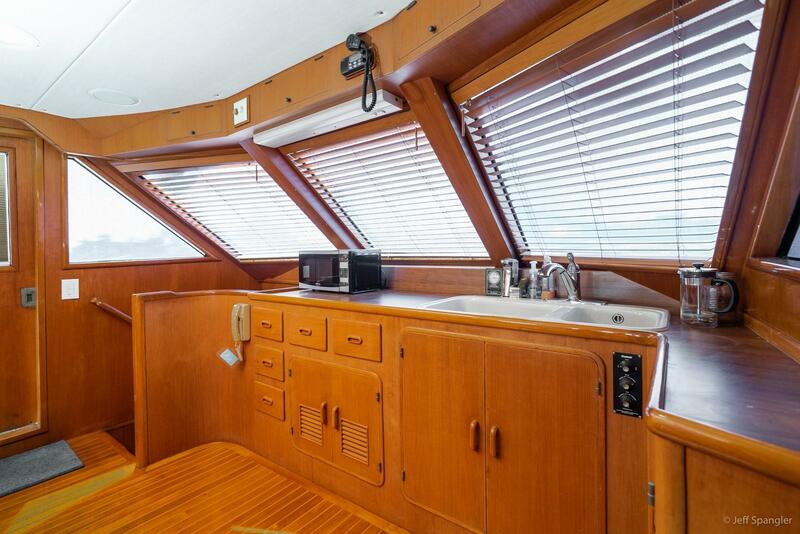 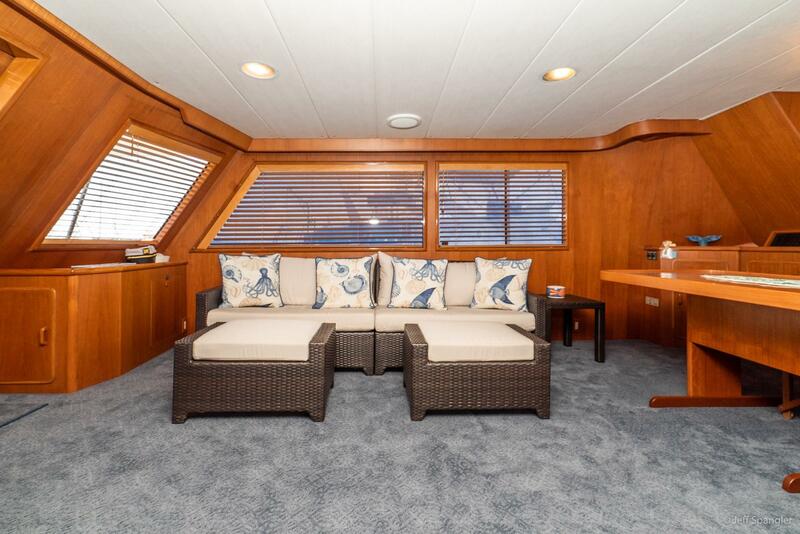 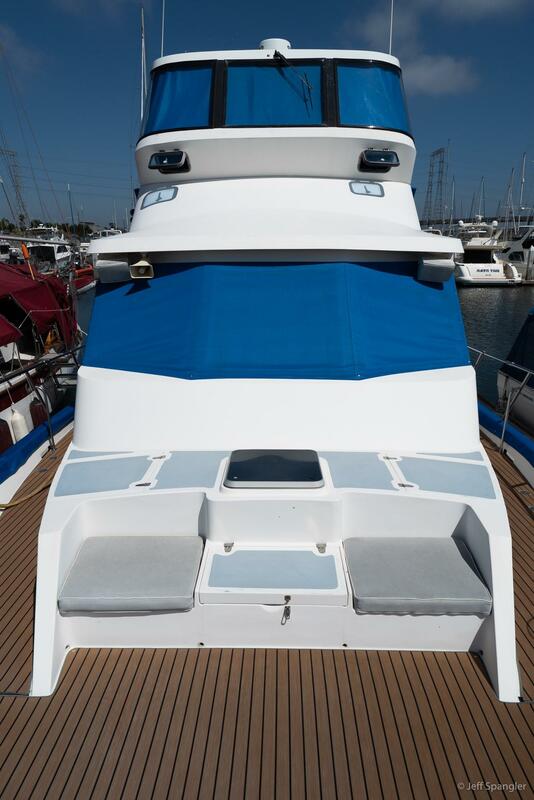 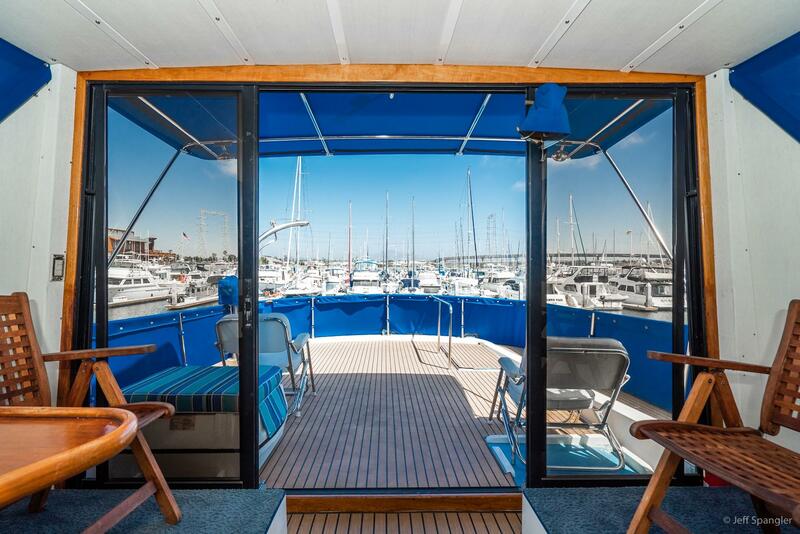 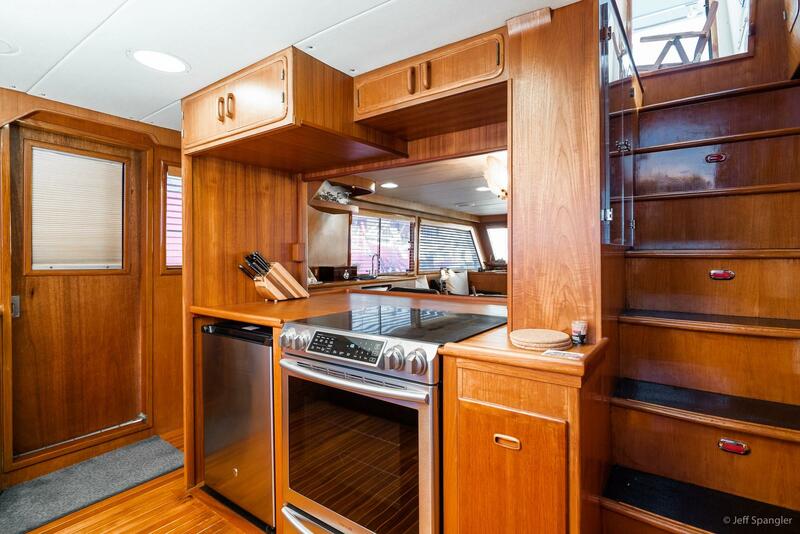 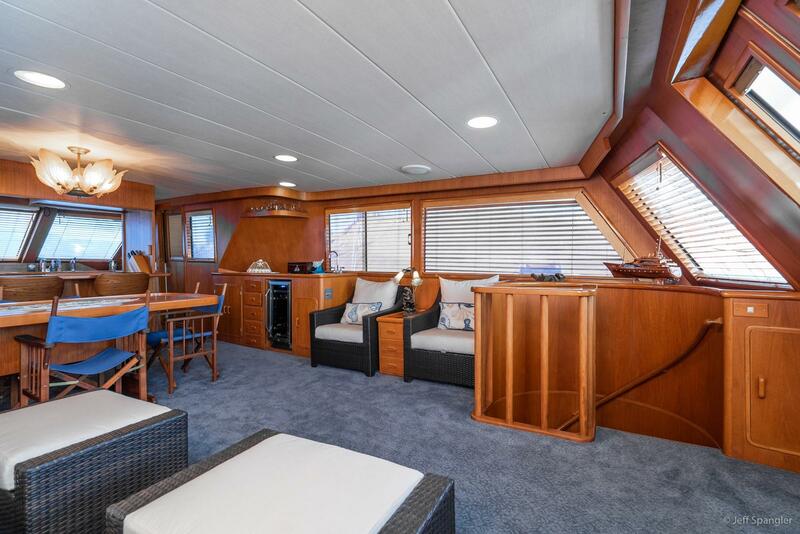 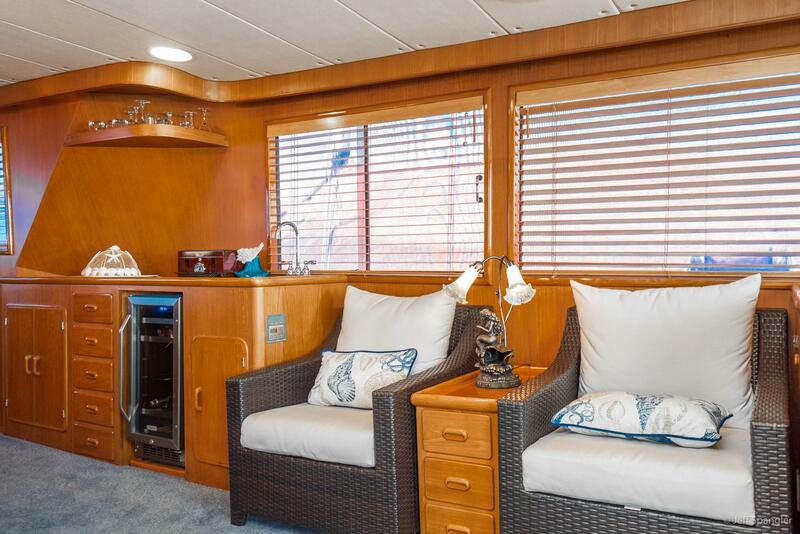 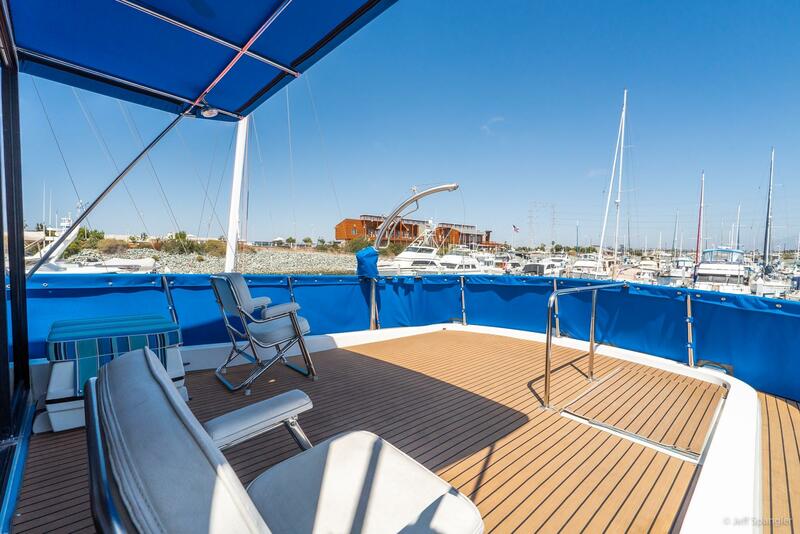 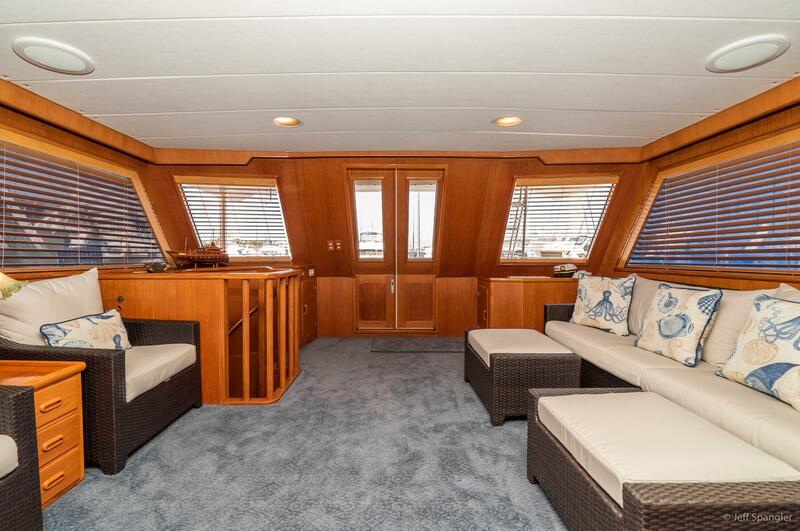 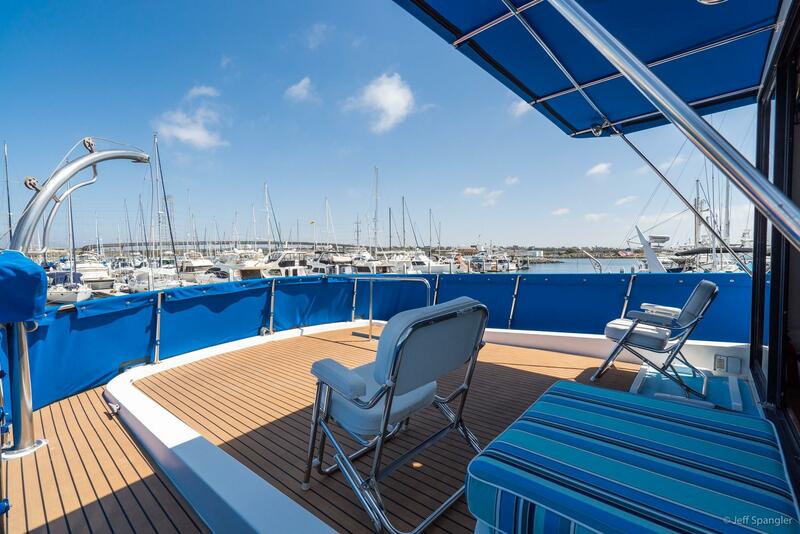 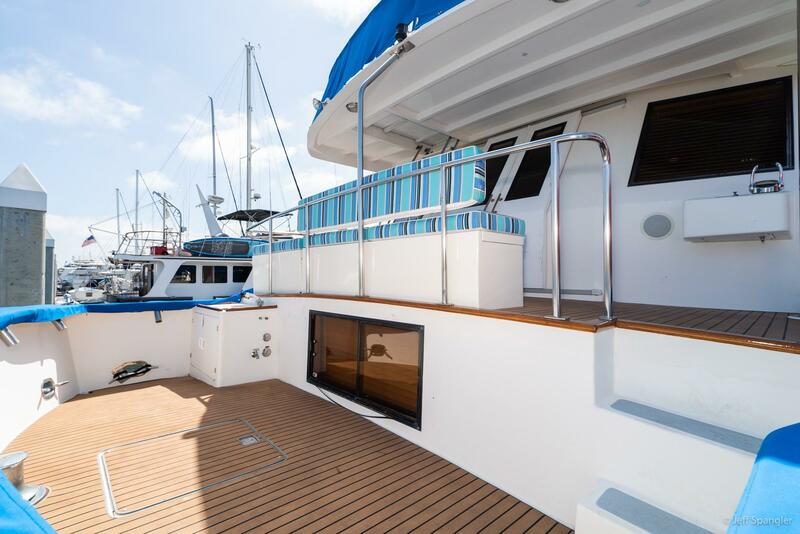 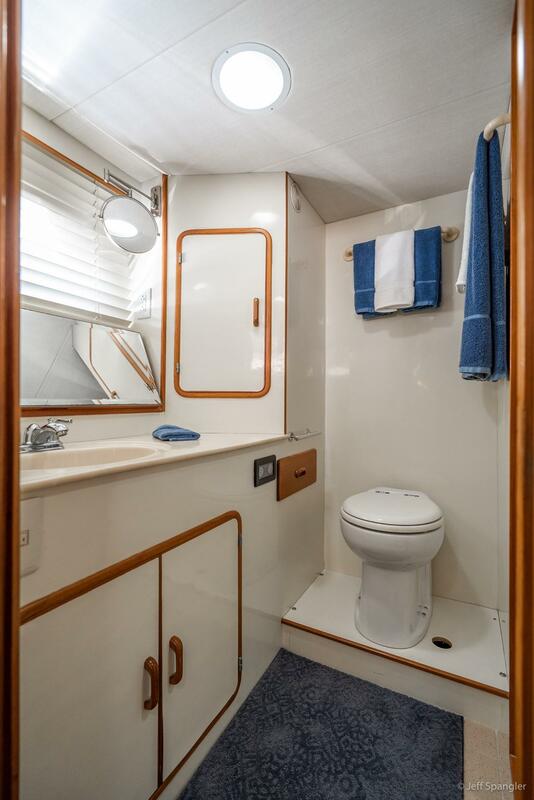 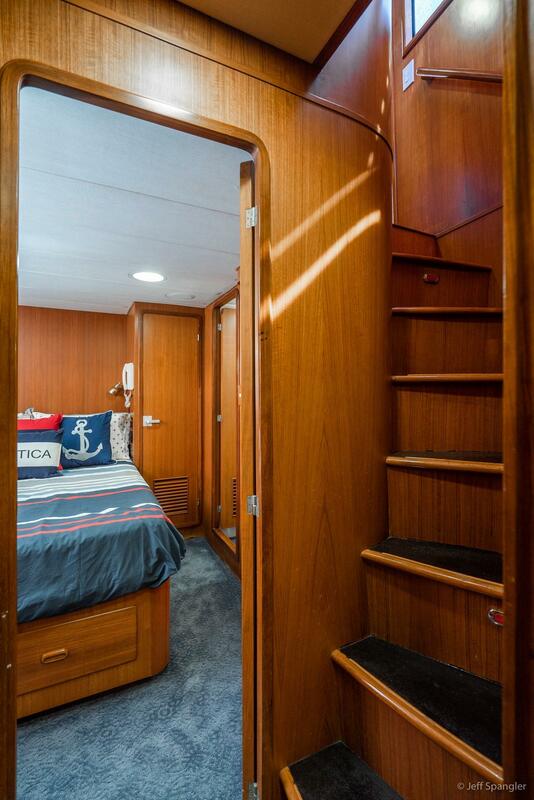 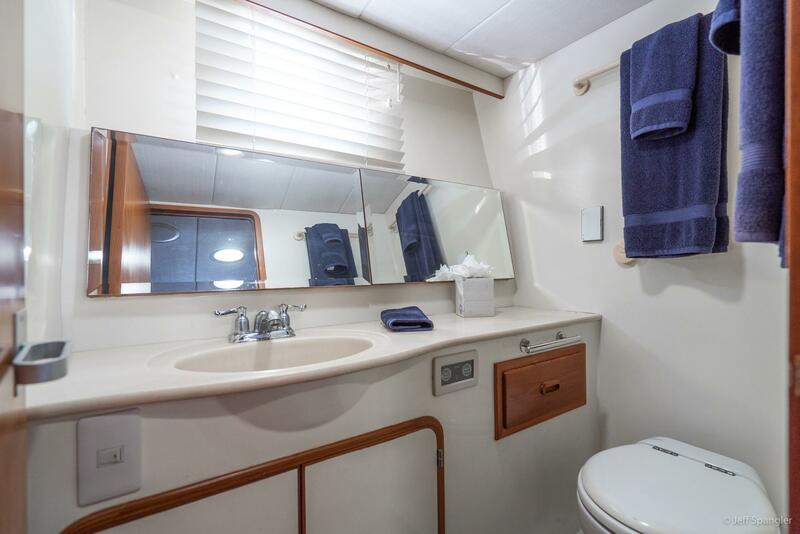 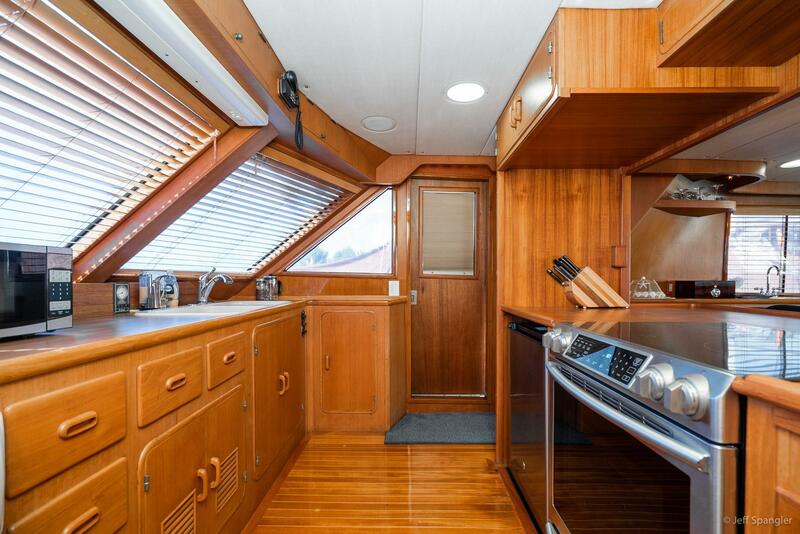 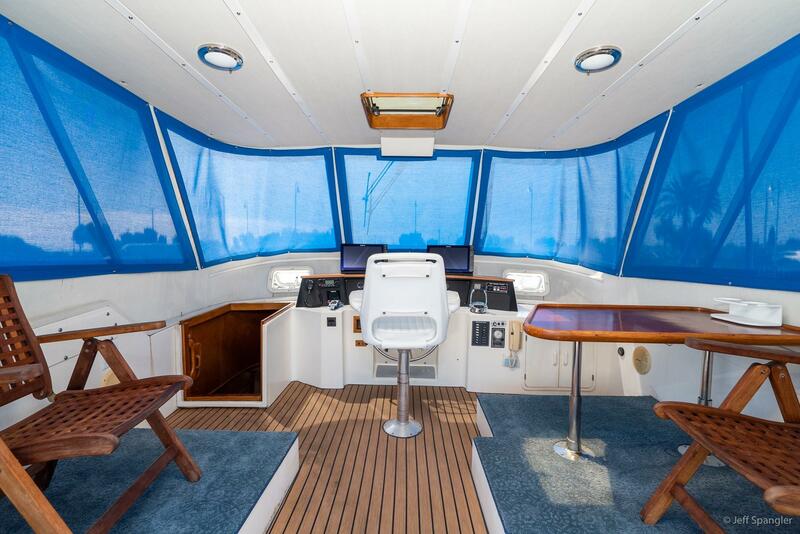 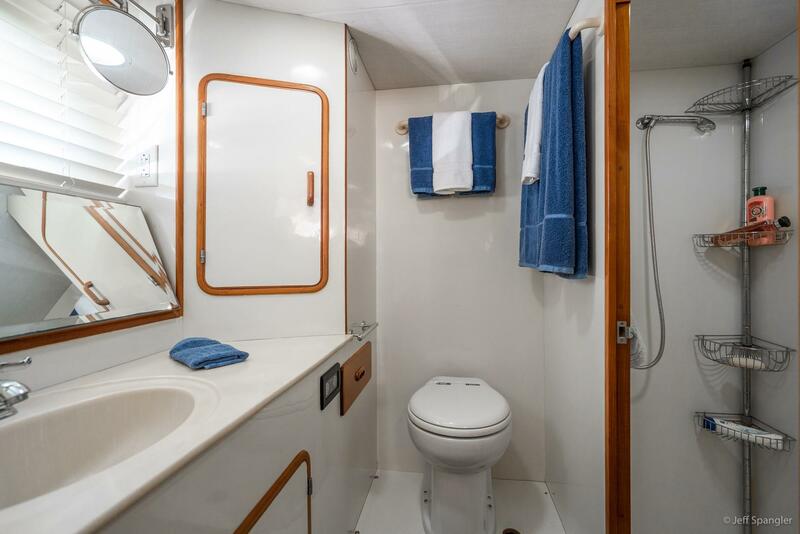 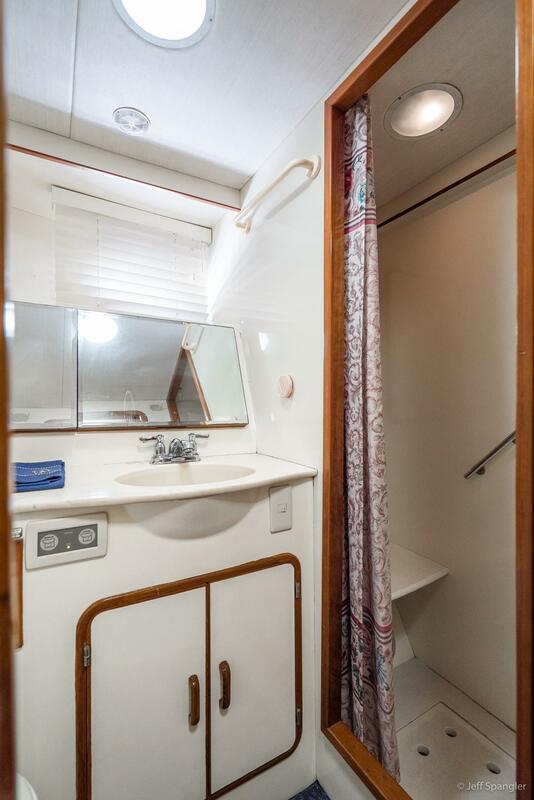 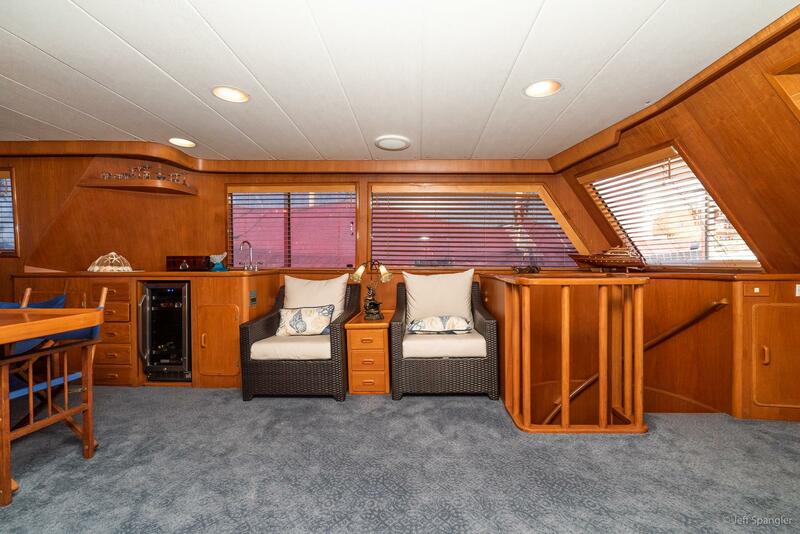 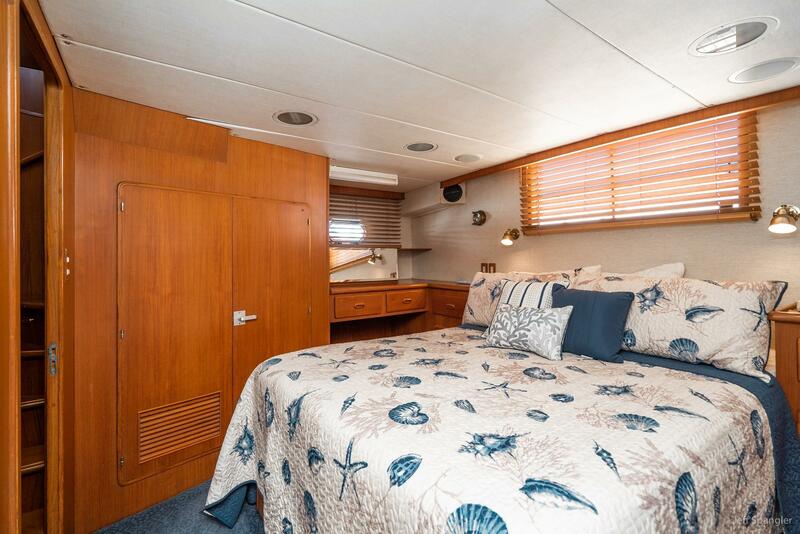 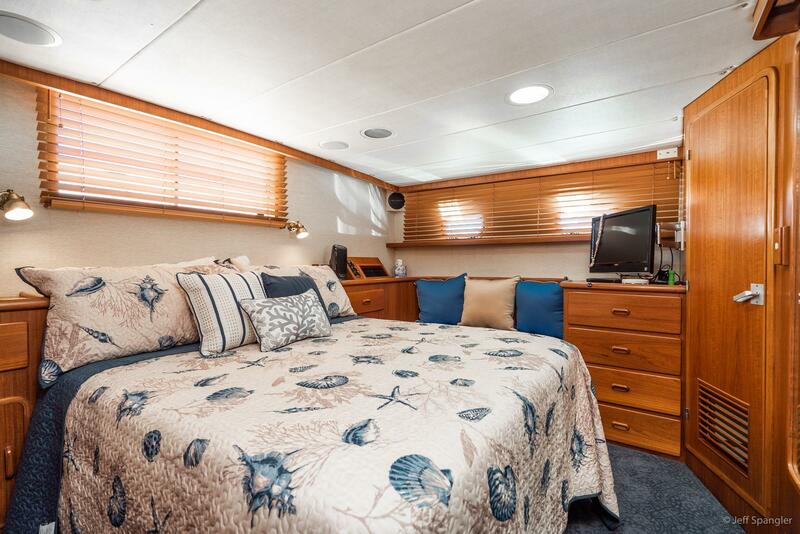 The vessel is easily accessed via the cockpit to aft deck with double sliding doors to a completely updated salon with new furnishings, carpet, wine steward and custom wood blinds. 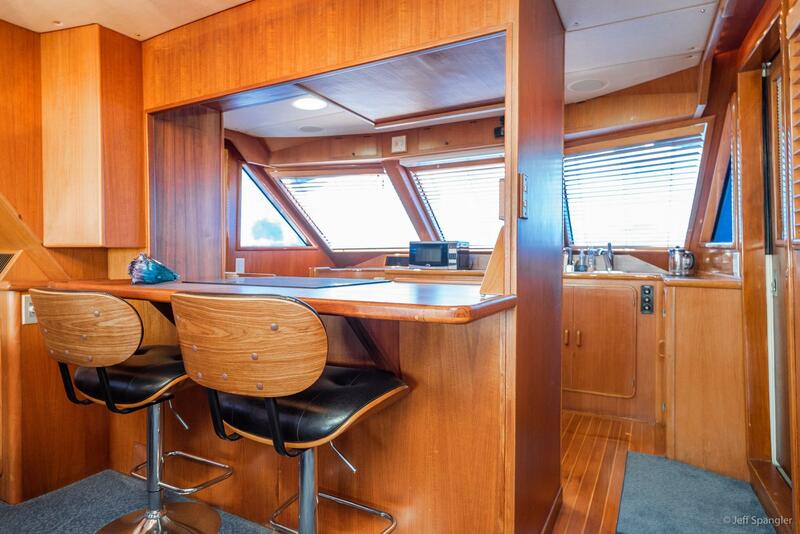 The galley was opened up by a shipwright to the salon which provided a comfortable counter area for light dining or to keep the chef company while meals are being prepared. 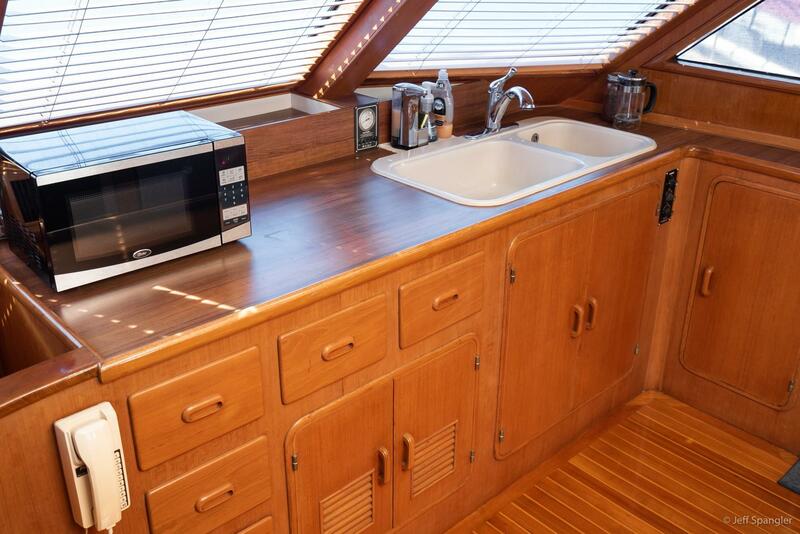 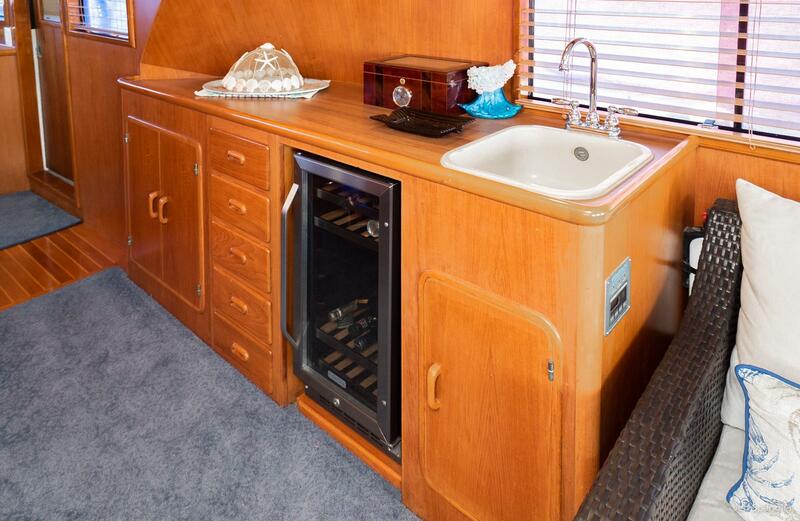 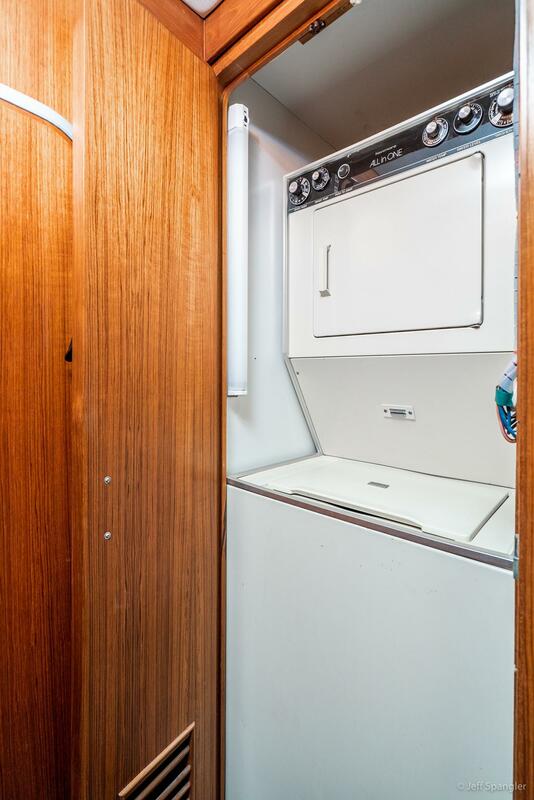 The galley was also updated with a new induction cook-top and oven along with a new refrigerator/freezer. 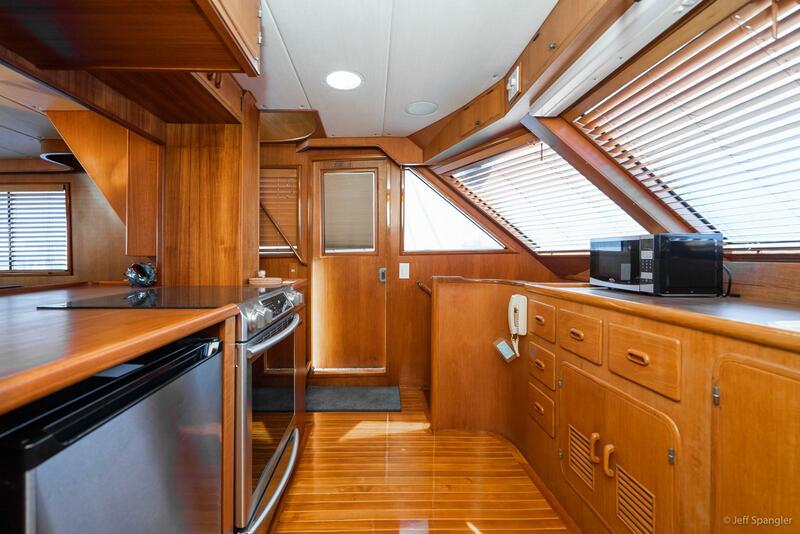 The galley has all new wood custom blinds as well. 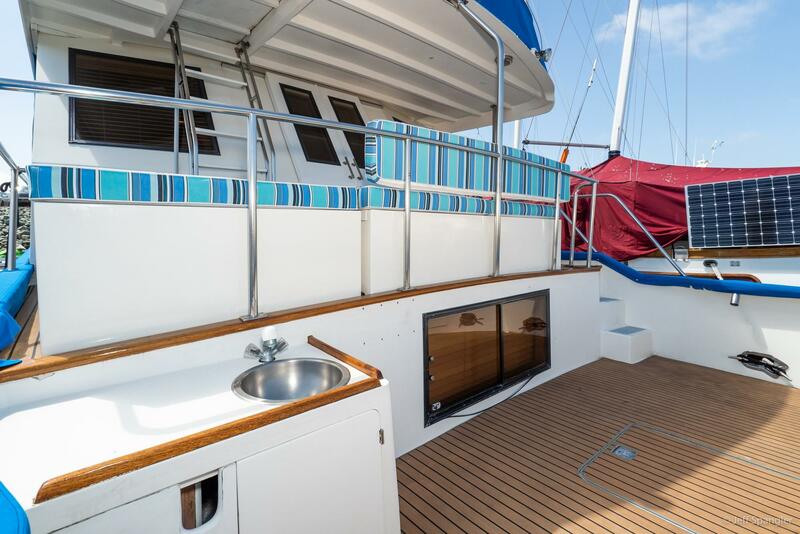 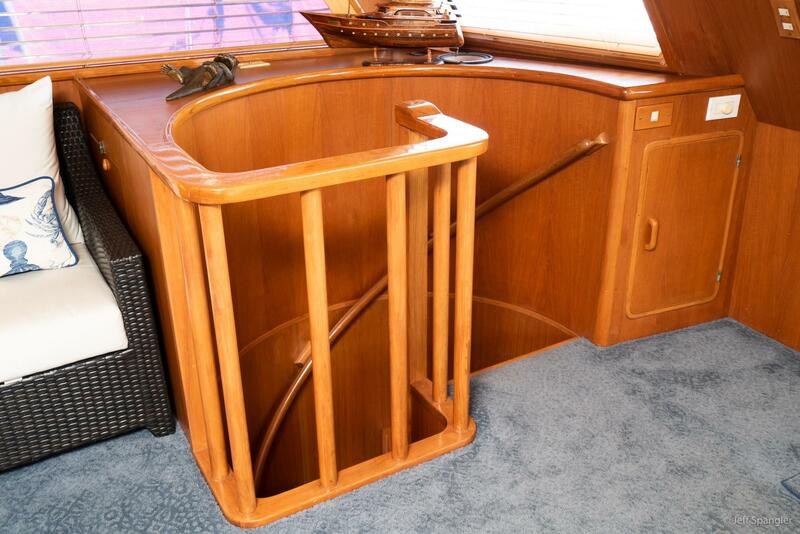 Throughout the vessel rich teak woods add to the warmth and charm of the vessel. 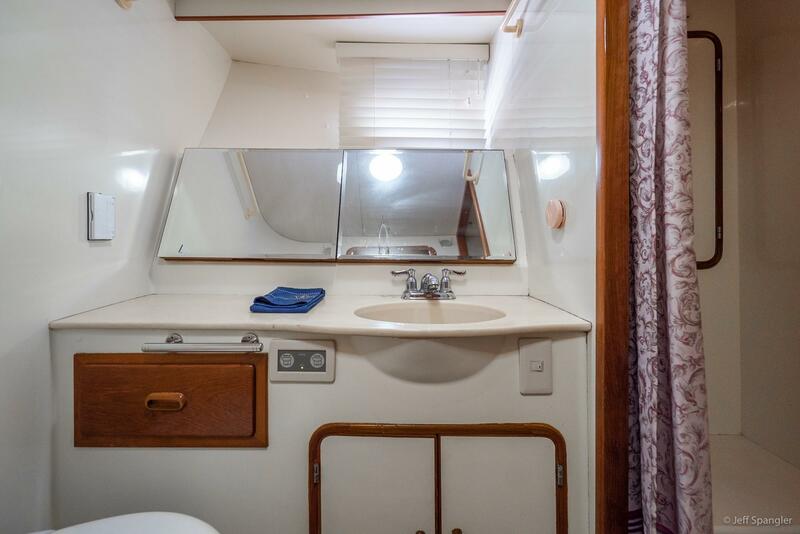 Three staterooms and three heads. 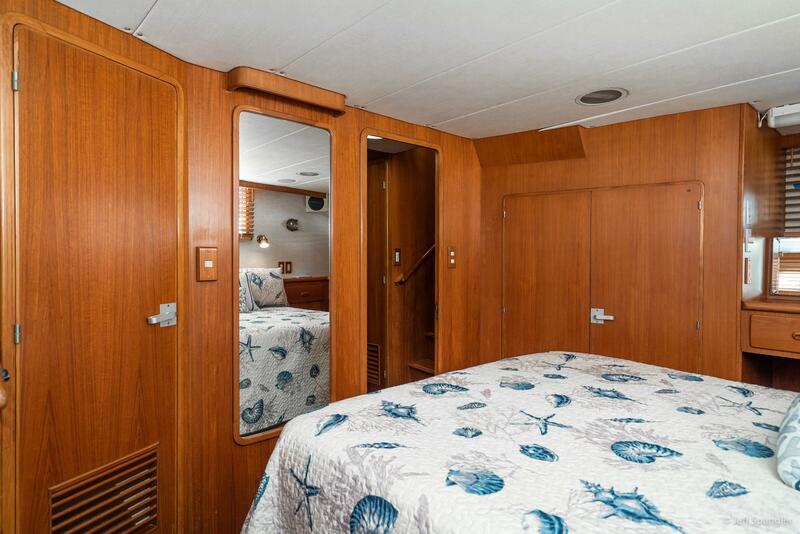 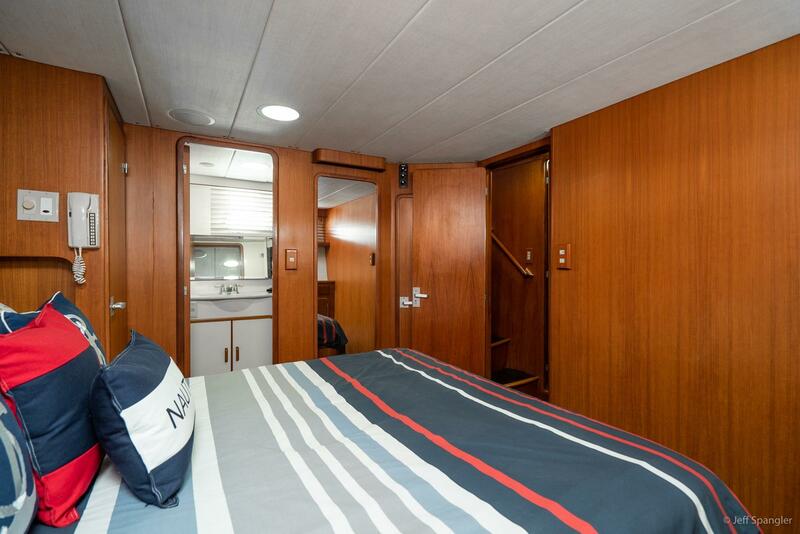 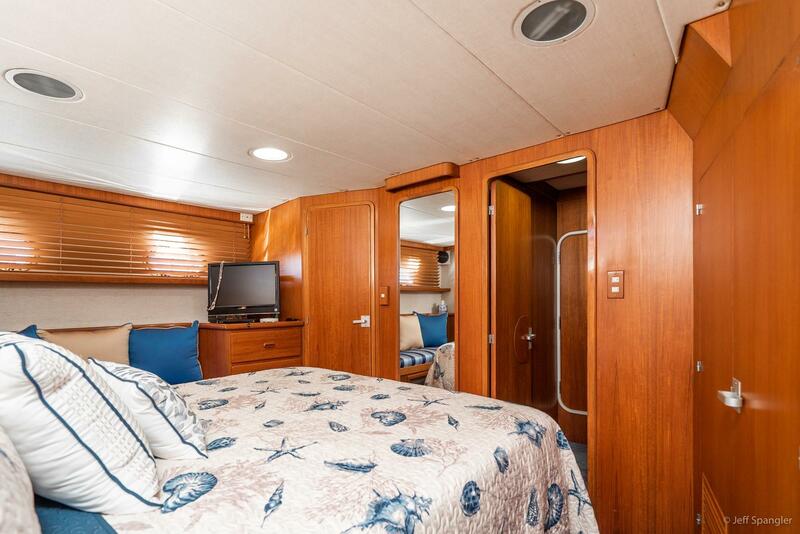 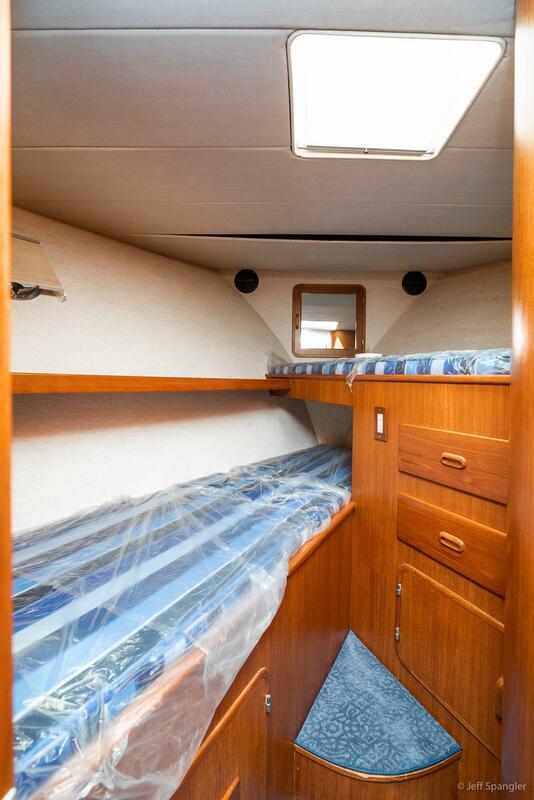 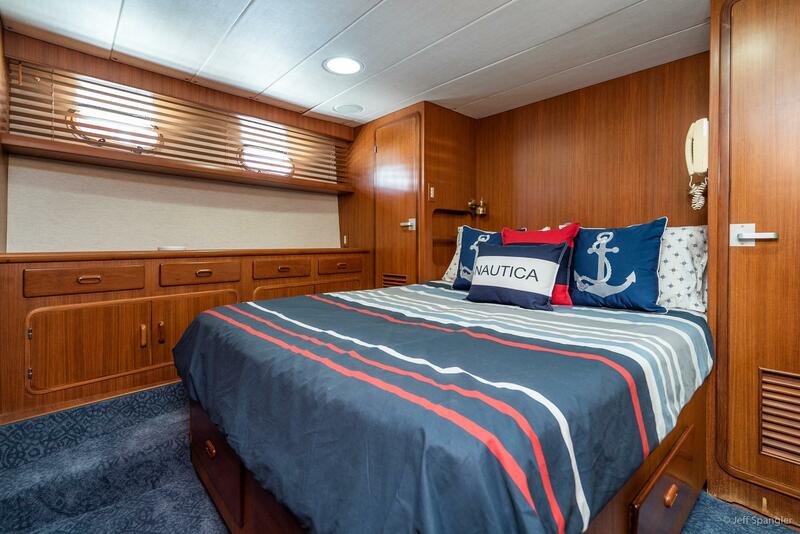 All the staterooms have been updated with custom mattresses and bedding along with new carpeting throughout. 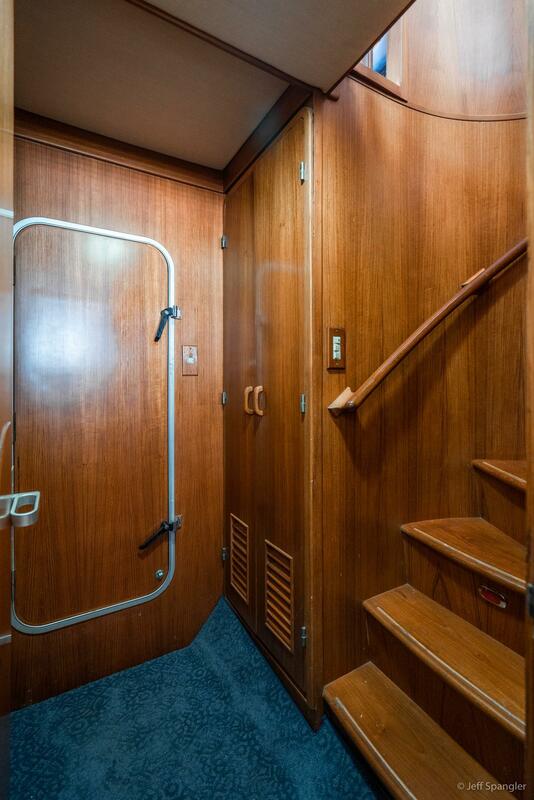 *Required. 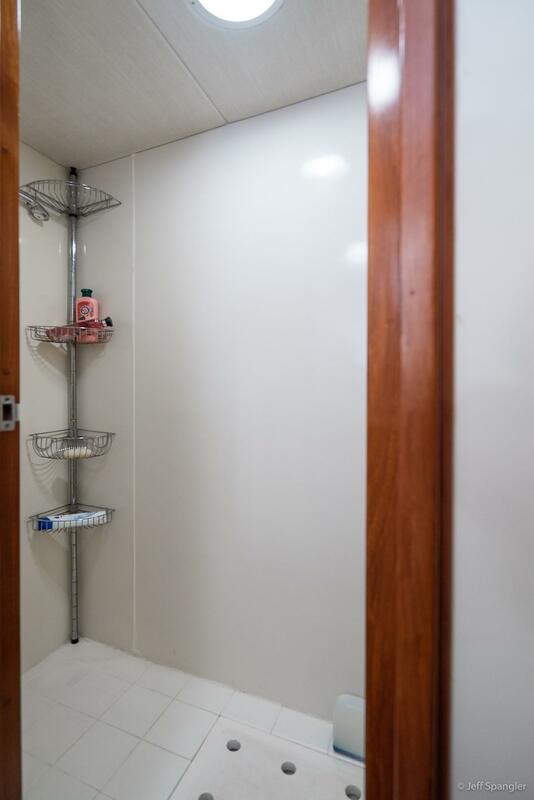 *Required. 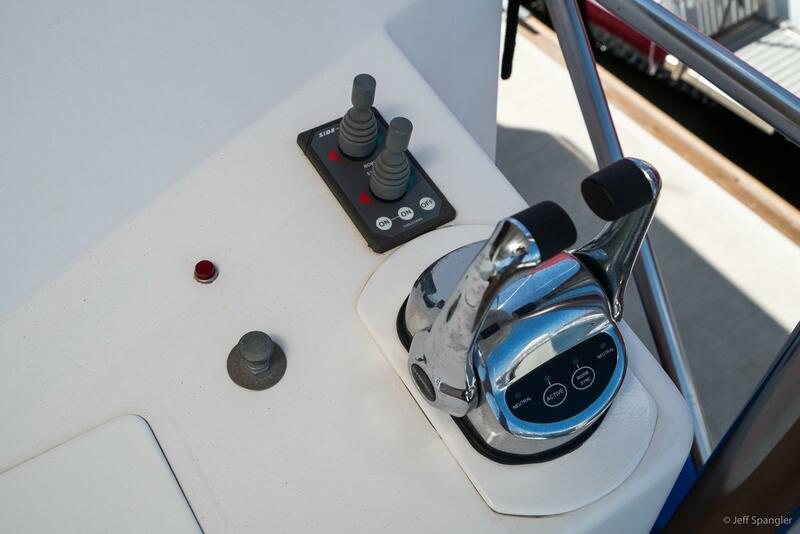 19 + 5 = Wrong verification number!